Loagan Bunut National Park was declared a national park in 1991 covering an area of 10,736 hectares. This park is not as popular compared to other national parks such as Bako National Park due to its distance from the major towns. 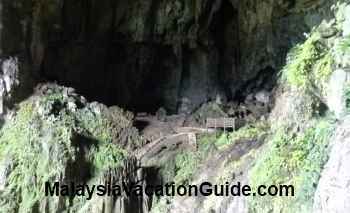 It takes 3 hours by four-wheel drive from Miri and half of the journey is through gravel road. Most visitors come for a day trip from Miri but for those who prefer to rest after a long drive, basic accommodation with electricity generated by generator can be arranged. The Loagan Bunut lake is the largest natural lake in Sarawak covering an area of 650 hectares. It got its source of water from Baram River, Tinjar River and Bunut River. During the dry season from the months of February to May, the lake may dry out for up to 3 weeks. During this time, you can even walk on the base of the lake. Boat trips can be arranged to explore the lake. 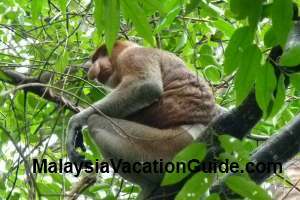 There are three trails that you can use to jungle trek and explore the flora and fauna of this park. The trails are Hydrology Trail (2 km), Tapang Trail (260 m) and Belian Trail (720 m). There is a hostel with four rooms, each with seven bunk-beds at the headquarters of the park. The rate is about RM15 per bed. 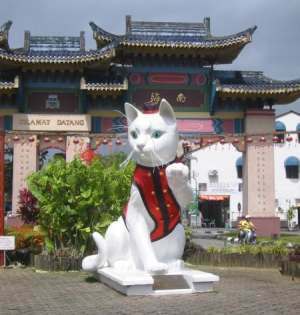 If you prefer not to join the tour package which you can book from Miri, there are buses that you can take from Miri to Lapok village. From here, you can charter a taxi to the park. For bookings of accommodation and other enquiry, contact the National Park and Wildlife Office for further enquiries.